Your wedding is perhaps the biggest and most important event that you’ll ever organize. The intimate and stunning Hotel Penarvor is the perfect place to hold a wedding as it provides packages that are designed to meet your needs, not forgetting the immaculate views that make for the perfect wedding backdrop. The thing about weddings is that the location and service you receive on the D-day are just as memorable as the special union you are going to form and Hotel Penarvor offers the perfect wedding venue. 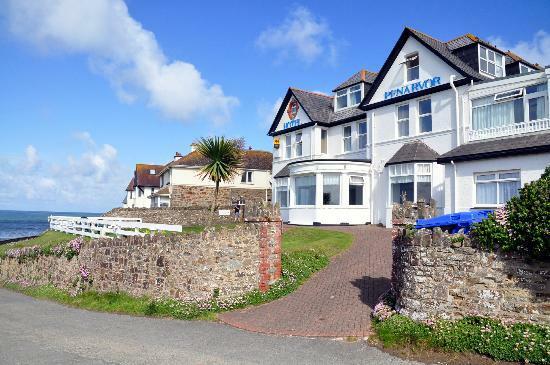 Located just a few minutes from Crooklets beach, it offers an all in one wedding package from the perfectly manicured lawns leading to Bude Castle, the lounge bar, Rockford restaurant and of course the breathtaking view. One of the things everyone wants for the preparation for their big day is hotel staff who understands the guests’ needs and who will make their journey a little bit easier by offering the best service possible. Hotel Penarvor is a family owned hotel and, therefore, you can count on all the staff to provide you with a wedding experience to remember, of course in a positive way, starting from the moment you decide to make Hotel Penarvor your wedding destination, right to your wedding day and even on your wedding night in one of their ostentatious honeymoon suites. Looking for a beach wedding, garden wedding or indoor wedding? Well, all these are possible at Hotel Penarvor with every choice offering you the most beautiful views that will make your wedding photos pop. A sunset Penarvor wedding is one of the most memorable as you overlook the sun-streaked waters and as you gaze into your partner’s eyes. Truly romantic! 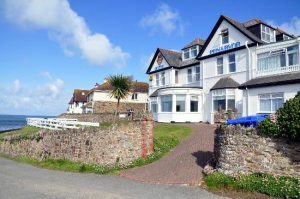 Take your time to visit this hotel that offers an authentic British feel, and look at all the possible places where you can have your ceremony as you book in advance to ensure that your wedding day becomes one of the most memorable events in your life. A sunset Penarvor wedding is one of the most memorable as you overlook the sun-streaked waters.